Hello and welcome to the Cut N Boss week. 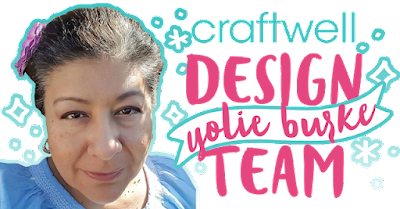 This is Yolie and I am so happy to be sharing my first project as a member of Cut N Boss Team. I have a little addiction to stationery specifically notebooks. I have stacks of notebooks I purchase simply because they are so cute! Raise your hand if you have the same addiction. I created a mini notebook for a friend. 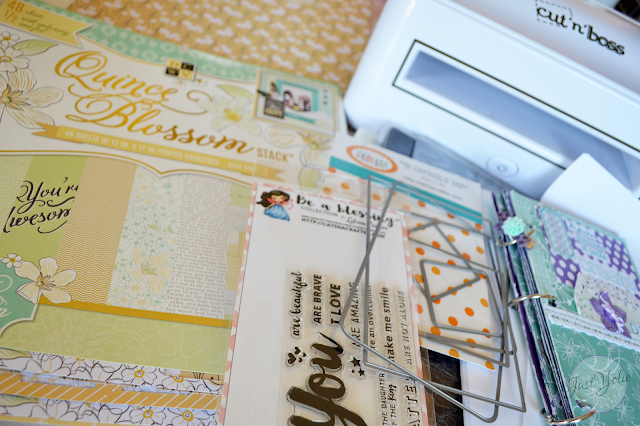 I used pattern paper from DCWV Quince Blossom, Latina Crafter dies and stamps. 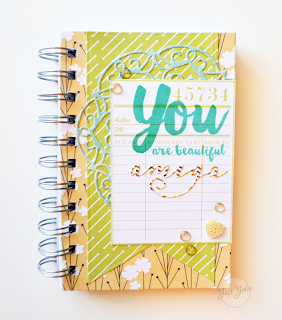 Using Latina Crafter's 4"x6" journaling dies, I took 4 sheets of copy paper, folded in half and ran it through the Cut N Boss. I did this several times until I had a decent amount of pages for the notebook. 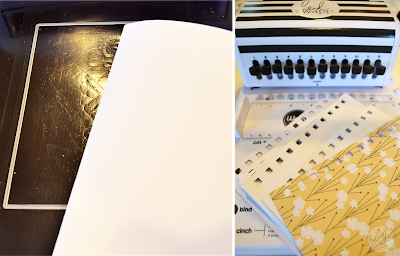 I then punched the pages with the Cinch binding system. I finally opened my new Prima doily die. It's absolutely gorgeous and it cut beautifully. 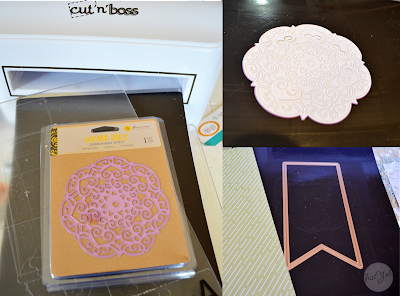 I also realized I needed another layer for the front cover, so I took a banner die and cut the green pattern paper. 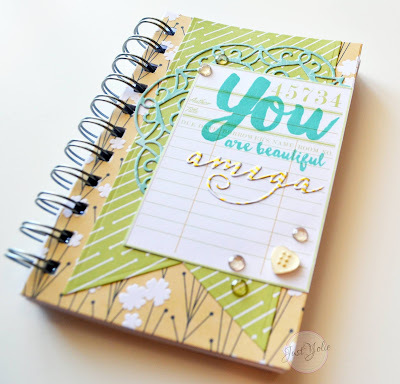 I stamped the library card with Latina Crafter's You stamps set from the Be a Blessing line, die cut the word "amigas" trimmed the 's' and adhered the elements to the front cover. I glued the buttons and the mini notebook is complete.